Out of stock since Wednesday, 20 February 2019. Due back soon. 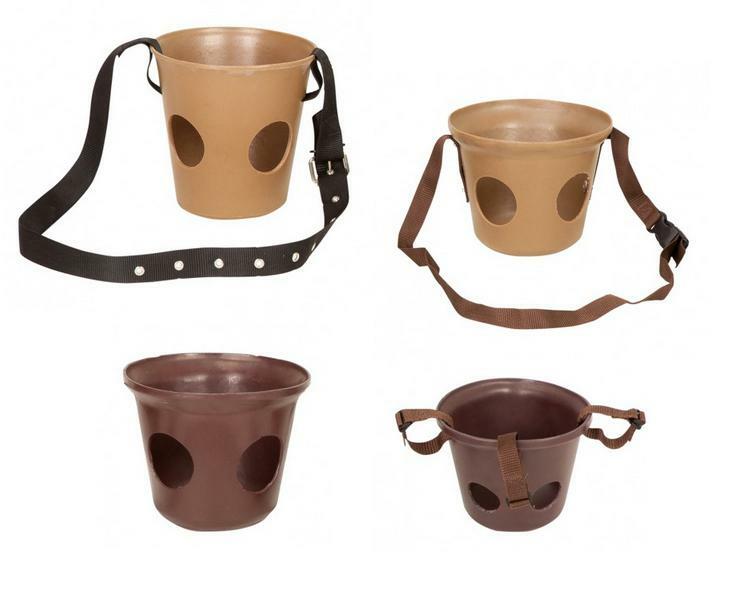 The Stubbs Muzzle is hard wearing and comfortable, made from tough Stubbythene and either hand finished with nylon straps or without straps or holes for incorporation into equine inhalation equipment. Measurements shown below are all internal. Strap lengths are maximum rim to rim measurements. There are currently no questions for Stubbs Muzzle for Horses - be the first to ask one!